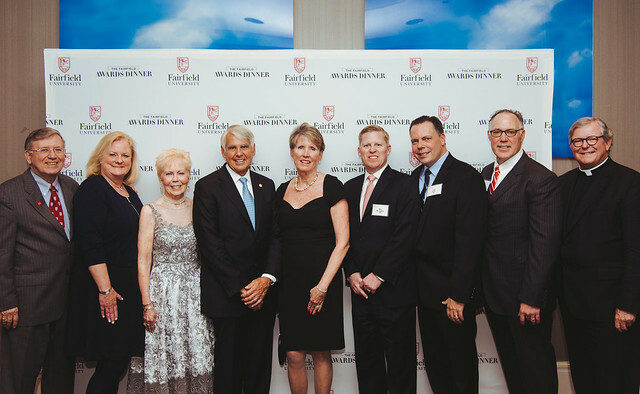 Attention young alumni (classes 2007-2016): The Fairfield Awards Dinner is one of the largest sources of fundraising for the University and is an upscale event where alumni can catch-up, mingle and network over a nice meal. Plus, tickets are half price for young alumni! Don't miss this chance to connect with alumni, celebrate Fairfield, support scholarships for future Stags and have fun in New York City on Thursday, March 30. Your donation to Fairfield is included in the cost of admission and can be allocated to any fund. Otherwise, the majority of funds raised from the dinner go towards the Multicultural Scholarship Program, helping students gain access to a Fairfield education who may not otherwise have been able to afford it. This in turn, helps enrich the greater community through increasing diversity in our community. Don't miss this chance to connect with alumni, celebrate Fairfield, support scholarships for future Stags and have fun in New York City. Tickets are half price ($300) for young alumni (classes 2007-2016), so get them while you still can! To set up a monthly payment option, please call Cindy Russo at 203-254-4000, ext. 2927. Register now for the March 30, 2017 Fairfield Awards Dinner at the Grand Hyatt in NYC.